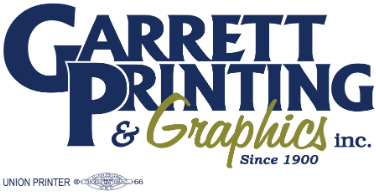 Since 1900, Garrett Printing & Graphics has provided our customers with quality work, reliable service and competitive pricing. Our staff has had decades of experience in all facets of printing; from simple 1 color work to 4 color, and beyond! There's no job too small, no job too large. Contact us today to see what we can do for you!